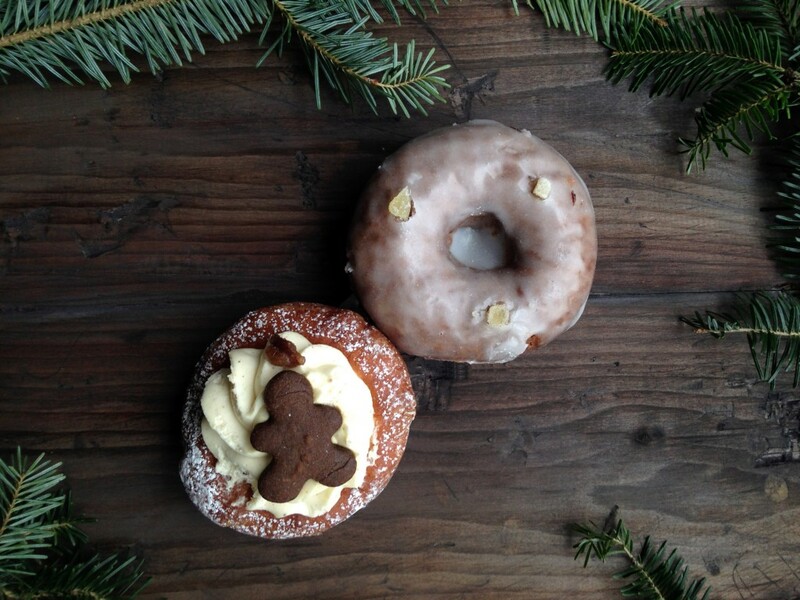 Tis the season to eat donuts. So skip the stocking stuffers and get a dozen to stuff your face with instead. Preferably a dozen with some yuletide flavors. For my Christmas treat last year I opted for Dough Loco’s “The North Hole;” a peppermint-y donut raised about as high as my tree. This year, I kept it close to home at Montclair Bread Company in Montclair, NJ. They get in the spirit with several festive flavors like Chocolate Candy Cane (chocolate cake run, dark chocolate ganache, and crush candy canes), Cranberry Orange (vanilla ring, cranberry orange glaze, Egg Nog (whipped eggnog custard, gingerbread cookie), and Gingerbread (buttermilk cake ring with molasses and spice). Each year I grow older, I love the taste of ginger more and more. And it’s hard for me to turn down anything that contains cloves, nutmeg, cinnamon, or maple. 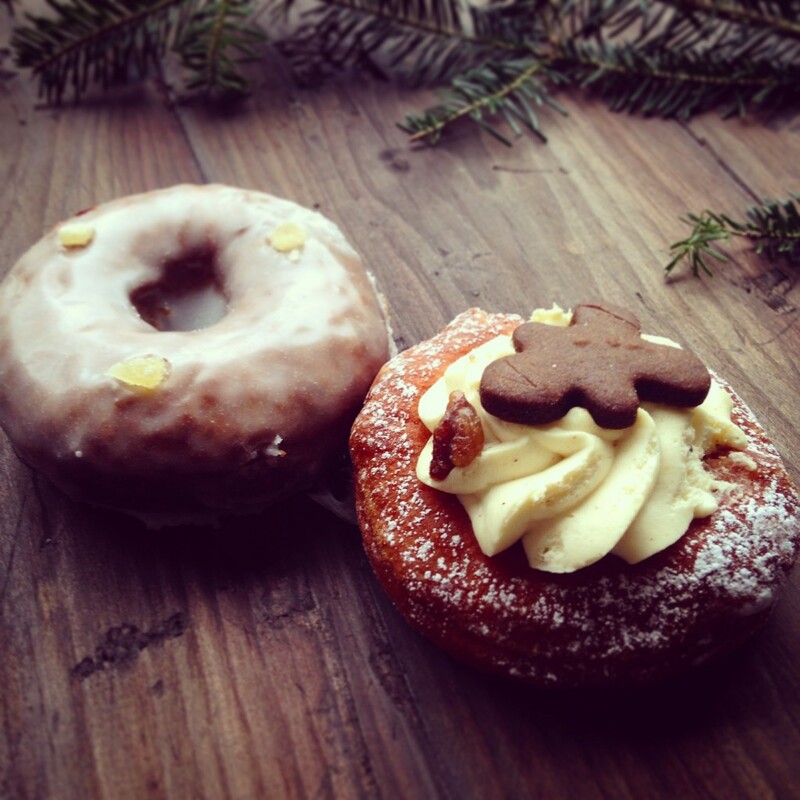 So naturally, I went for the Gingerbread donut. It had the right amount of spice I’ve come to expect from gingerbread and the glaze was very tasty. I would consider adding that donut to my list of Christmas traditions.